As a developing enterprise, Chuangxinjia has been learning constantly and endeavoring to make innovations all the time, hopes to invigorate foreign trade market by his unremitting efforts, which also establishes the foundation for them to keep pace with the times. With the continuous development and transformation of our company, the senior management and chairman keep improving technology to develop new products and markets, and actively negotiate about the cooperative project with personalities of various circle. 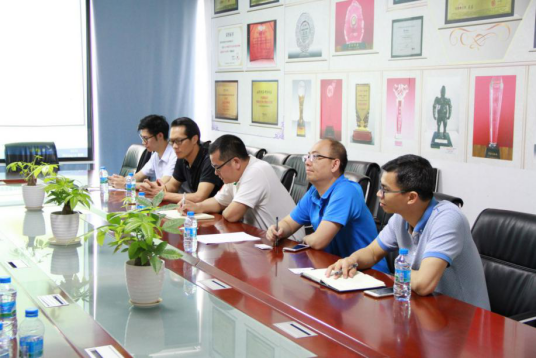 On the morning of April 18, 2017, we were honored to invite Mr.Mo and and Mr.Sun, the party committee and the director of the Business Bureau based in Wanjiang district of Dongguan city, to visit the headquarters of Chuangxinjia and negotiate with us. 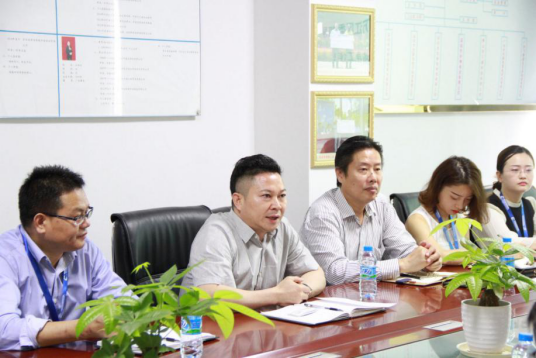 We discussed thoroughly the developing tendency and direction of cross-border e-commence in Dongguan, during the process of mutual understanding, the construction goals of Wanjiang district happens to coincide with the development goals of Chuangxinjia. This symposium strengthened our faith in entering Wanjiang district, Dongguan city. We should negotiate more details further, wish we have a successful cooperation and get benefits mutually. We have reasons to firmly believe that, with our continuous efforts and innovation, our products will have a stronger presence at home and abroad. At the same time, we sincerely wish that you could give close attention to Chuangxinjia to witness our growth and improvement together. Take this opportunity to extend our sincere gratitude to the regular customers, thank you once again for your long-term trust and support, meanwhile, thank the new customers for visiting our website, giving us the chance to display our website, our products. 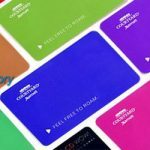 By the way, if you have the demands for any PVC cards, please don’t forget us, as we are a professional PVC cards manufacturer, and we have a strict quality control system and have obtained CE authentication, enjoy a high reputation in this industry, which can guarantee to provide high quality products for you. Thank you for taking the time to read the article, i hope that it was helpful, hope that you learn something from it, thank you very much! Paying attention to Chuangxinjia blog to read more weekly articles.